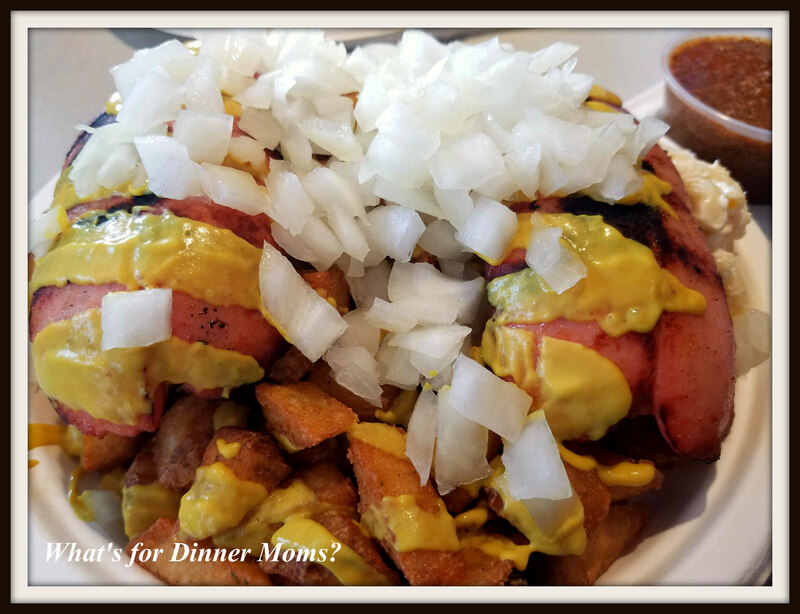 Rochester Garbage Plates – What's for Dinner Moms? No trip to Rochester, New York is complete without a Rochester Garbage Plate. These plates and their variations are offered at most fast food places in the area. The original from Nick Tahou’s is THE plate but this one from Charlie’s Restaurant (click for link to website) was perfection in my eyes. 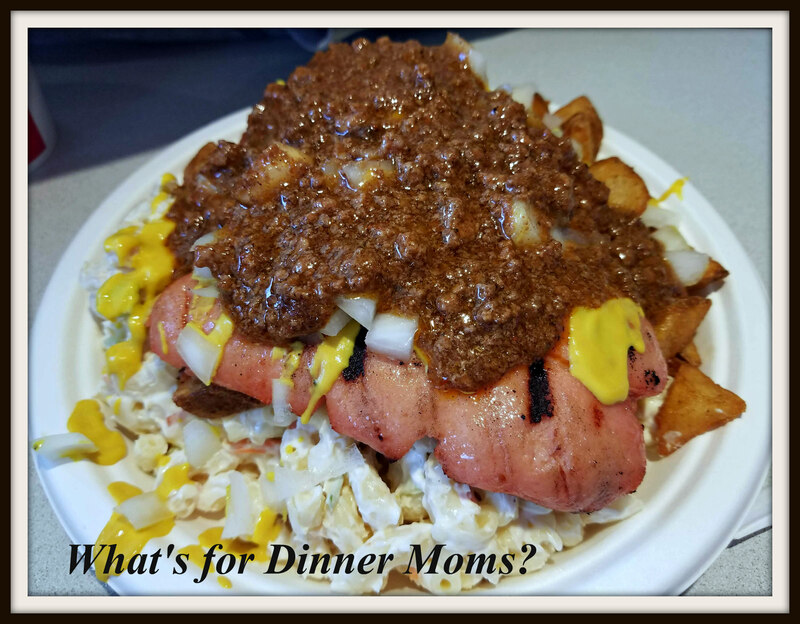 My son had recently tried his first Garbage plate at Tom Wahl’s earlier in the week and thought this plate was better in every way except he thought the meat sauce needed a bit more flavor. He though the Wahl plate had a bit more, as he said, Umph to it. Whether you like your meat sauce on the top or on the side my favorite part of the plate is the mac salad. This mac salad never disappoints. A bit of mustard over the top of the whole plate and LOTS of diced onions with dipping meat sauce on the side is the way I prefer it. Want to try to make one? This is the meat sauce recipe we use Slow Cooker Rochester Meat Sauce (click for link to recipe). Enjoy!